The Brew Lounge: Excuse me, do you know the way to Moe's? Who doesn't like The Simpsons? Well, I suppose since I've woven Moe's into this story, it's not really off-topic, now is it?! 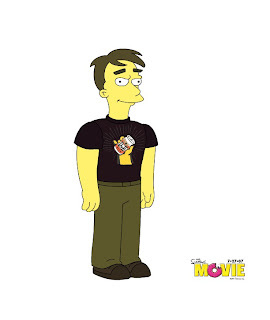 What a cool site....Simpsons goofery....and the chance to create your own Simpsons-like avatar. Whaddya think? Is mine anywhere close to reality? Have fun, relax, and have a Duff!